Dean Boyd | What Is The Role Of The Judge In A Personal Injury Lawsuit? 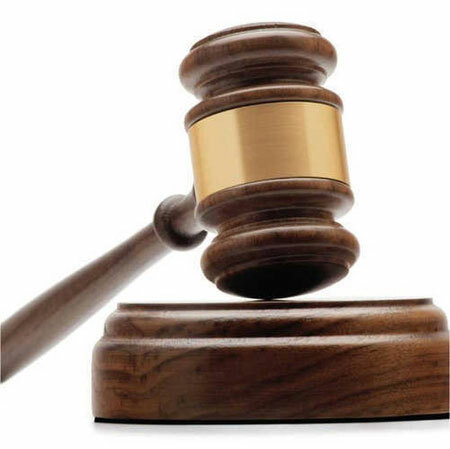 What Is The Role Of The Judge In A Personal Injury Lawsuit? For someone who has just been injured and may be considering a personal injury lawsuit, the entire process can seem daunting and overwhelming. Most people know to immediately hire a lawyer, but then what happens after the attorney is hired? You may wonder what your lawyer will do and what the trial will be like. However, it is also important to understand the role of a judge in a personal injury lawsuit. A judge serves as a trier of law in a personal injury lawsuit. This means the judge is responsible for ruling on any legal issues that come up during the trial. For example, a woman riding her bike down the street is hit by a car and she decides to sue the driver. Since the injured woman filed the lawsuit, it is her responsibility to prove in court that the driver of the car was at fault. This is known as “burden of proof.” To help the woman meet the burden of proof, her lawyer will call experts and notable witnesses to testify on the facts of the case. The lawyer representing the car driver can raise objections to things the experts and witnesses might say during the personal injury lawsuit. There are legal rules that govern what is and is not acceptable during testimony, including objections. When an objection arises, it is the responsibility of the judge to determine the law and how it applies to the specific case. He or she will then decide, based on the law, if the objections being raised are valid. It is also up to the judge to ensure that the trial is conducted in an impartial and orderly manner. He or she must also assure that each side involved in the personal injury trial is in compliance with the rule of law. Because it is the judge’s job to determine what the law is and how it applies, who decide which party wins or loses? This responsibility goes to the “trier of fact” and who fills that role depends on the circumstances of the lawsuit. Most personal injury lawsuits end up being tried in front of a jury. When a jury is present, they serve as the trier of fact. That means it is their job to try to determine the facts of the case and what the circumstances were that lead to the injuries. At the end of the trial, they will decide whether the defendant or plaintiff will win the case. However, some personal injury lawsuits are not tried in front of a judge and jury. There are certain situations in which the judge will serve as the trier of law and the trier of fact. These cases do not actually make it to a formal trial. In these instances, the judge will still maintain the responsibility of determining the law and how it applies. However, he or she must also listen to the evidence presented by each side of the personal injury lawsuit. When all evidence has been presented and all testimony is heard, the judge will then determine the winner. If you were injured in an accident and want to file a lawsuit, contact Attorney Dean Boyd today. Hiring a personal injury lawyer will help you navigate the legal process without the headache of having to do it on your own. You can call us at (806) 242-3333 or Contact Us by email to learn more about our Services. You can also visit our office at 4423 SW 45th Ave in Amarillo, Texas or 5012 50th St #103 in Lubbock, Texas for more information about how we can help you.